The Australian Research Council KFA-sponsored Kimberley Visions project has an impressive team of French researchers participating in field trips to the Kimberley during July and August this year. They are world leading French geomorphologist Jean-Jacques Delannoy and renowned archaeologist Jean-Michele Geneste. Delannoy is at the Université de Savoie and is Director of the research laboratory EDYTEM (Environment, Dynamic and Mountain Areas). 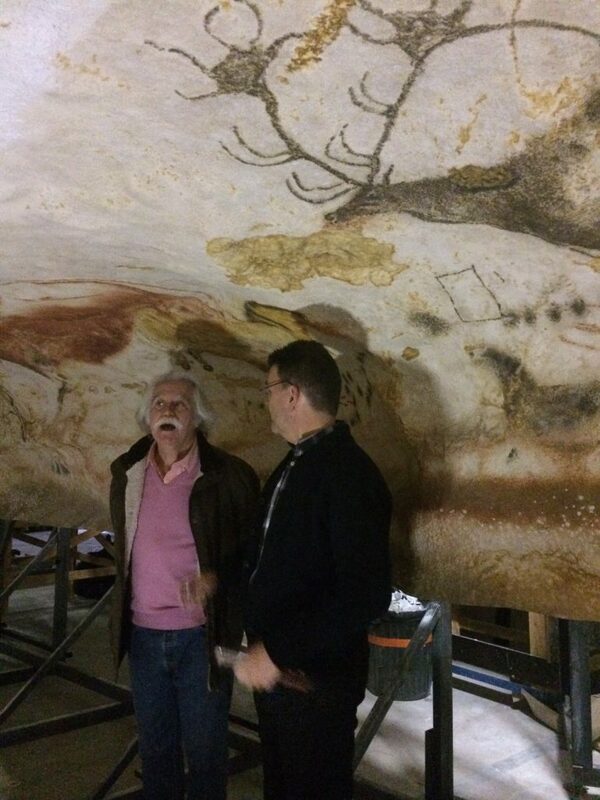 He led the scientific committee which advised the French government on the famous Chauvet cave replica. Geneste is at the Université de Bordeaux 1 and for more than 25 years has focused research on Palaeolithic sites in France. He manages the primary national rock art research laboratory in France – the Centre National de Préhistoire – whose major focus is the study of rock art recording, mapping and related archaeological deposits and site management. The French teams have carried out cutting-edge research in the recording, analysis, conservation and public interpretation of some of the most significant rock art sites in the northern hemisphere.